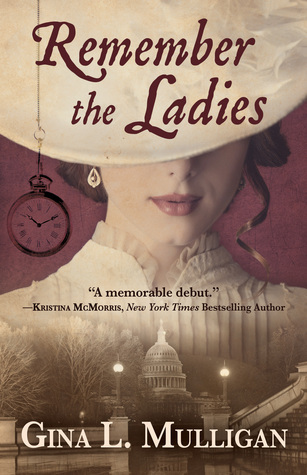 When writing historical fiction, the author needs to diligently research the time period that they are writing about - the facts MUST be correct. Once that is done, they are free to make up a story that might have happened. Here are several well researched historical fiction books that I've read this year. The time span is from the 19th century whaling expedition (The North Water) to the Vietnam War (Revenants). 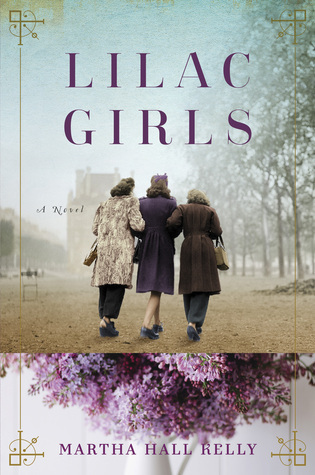 Also included are two WWII books (One Man's War and the Lilac Girls) and a fantastic novel about women fighting to get the right to vote (Remember the Ladies). Just when you think that you have read everything that there is to read about WWII, a book like this comes along and you read about the effects of the war from an entirely new perspective. This is not only based on real people but it is a debut novel by an author that I predict we will be hearing from in the future. Its a fantastic novel and would be a great book not only for book clubs but for anyone who is interested in how badly people can treat others. -Caroline Ferriday, a NYC socialite and former actress who works in the French embassy in NYC. -Kasia - a Polish teenager who works with the underground once the Nazis invade Poland and who is arrested, along with her mother and sister and sent to Ravensbruck concentration camp. -Herta - a German doctor at Ravensbruck camp who convinces herself that she is doing the right thing at the camp. The novel is told in alternating chapters by each of the three main characters and the reader gets a total picture of what is going on in the US during the war as well as the atrocities going on in the camps. Ravensbruck was well known because medical experiments were done on some of the prisoners that were so inhumane it is almost unbelievable. As difficult as part I of the book was to read, parts 2 and 3 took place after the war as the three women tried to renew their old lives. Much of it was also very heartbreaking but there was also hope for the future after the war. This is a wonderful book, difficult to read at times but one that needs to be read! 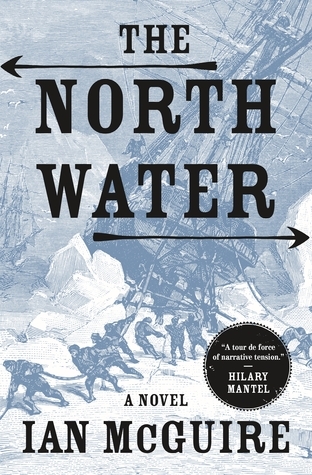 The North Water by Ian McGuire takes place in 1857 aboard the whaling ship, the Volunteer, on a voyage to the Arctic Circle. On board the Volunteer are a dishonest captain, a disgraced Irish surgeon and a serial killer named Drax who is a man of pure evil along with the usual crew of misfits and rough sailors. What I liked about it: The author's writing is crisp and vivid. The characters are very well done and the story line is very realistic. What I didn't like about it: The novel is very dark and gritty and extremely violent. The language, though representative of the lives of sailors of the day, was very vulgar at times. Overall, I recommend this book if you enjoy reading a gritty realistic adventure book told by an author with fantastic skills. I enjoyed it and plan to look up some of his earlier books. 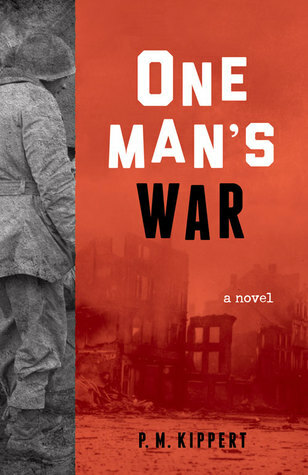 War is Hell and this book brings World War II to the reader with all of the grit and fear that goes with such a horrific experience. The main character Bob Kafak, is on the front lines. He can't see the big picture, he has to endure the day to day shelling and rain and mud and cold and at times boredom. He is often close to the German lines and is involved in a lot of fighting from the beaches of Anzio to the south of France. He chooses not to be promoted to a higher rank because he sees so many of the officers get killed. So while the higher ups are controlling the moves of the armies, the reader is getting a day by day look at what actually goes on with an individual soldier whose goal is to stay alive despite all that is going on. This is not my normal genre of book but I definitely enjoyed the novel. I thought that the main character was very well created and very real. He was definitely a good representation of a soldier of the time. I was also very interested in the parts of the story that took place in France. My father was in WWII and was in southern France and like the author's father, never talked about the war until very late in his life. I recommend this book to anyone who wants to read a gritty real story about WWII from the soldiers' point of view. But it can also be enjoyed by a reader who wants to read a real coming of age story about a young man who gets drafted and learns what's important in life during his time at war. This is a war novel but it's not about what happens to the soldiers in battles but what happens to the family of a soldier who doesn't return. This is the story of Betsy, a teenage girl, whose brother Nathan dies in the Vietnam War. The entire family is overwhelmed with grief but it's Betsy that the novel centers on. She feels guilty because she never got to really say good bye to her brother and she misses him terribly. As a result of her feelings, she starts hanging out with a rough crowd at school and gets in trouble. As punishment, she is given the chance to work as a candy stripper at the local VA hospital. At first, she's very resentful of this but as she gets to know some of the patients, she starts to love the time that she spends at the hospital and makes a vow that they will all go home to their families, unlike her brother who never came home to his family. There is also a mystery about a patient on the upper floor that no one is supposed to know about. The story behind the mystery patient is very intriguing and by getting to know him and his story, Betsy begins to heal from the loss of her brother. I almost didn't read this book because I don't like novels about war but this book was fantastic. Yes, war is dangerous for the soldier but it also harms the family at home and that harm can cause scars that last for generations. So even if you avoid war novels, don't avoid this book - it's a book that will stay with you long after the last page is turned. I don't read a lot of historical fiction but I'm so glad that I decided to read this book. The time period of this book is the late 1800s but parts of it could be written about today's political struggles in the US. I also found it very interesting to read about the early work of the women's suffrage movement and the work that they did to give women the right to vote. Amelia was orphaned at four and raised in an orphanage where she was upset that boys could get schooling and girls were taught to keep a clean and orderly house. When she was emancipated from the orphanage at 18, she went to work at a textile mill where she once again saw women treated as second class citizens. After being fired, she decided that she wanted to be a person who could make a difference in the world. She took the train to Washington, DC and after much convincing and studying, she found a male lobbyist who would mentor her. She was one of the first female lobbyists and fought discrimination every day. Eventually she went to work for the National American Woman Suffrage Association to try to get a bill through Congress to allow women to vote. Through her struggle to be a person of importance in Washington, we learn all about the deals and tricks that were part of politics at the time - many of which still happen today. I definitely enjoyed this book. I thought that the character of Amelia was very well done and she showed growth and change throughout the book. I also enjoyed learning more about what women had to go through to get the right to vote. So many people don't take advantage of this in today's world - they all need to read about the struggle for women to be able to cast their votes and be involved in government. 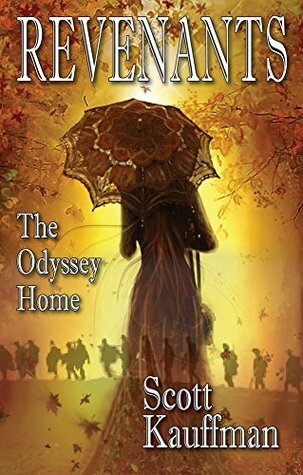 While I historical fiction isn't something I readily pick up, these tales were so well researched and brought history to life that I'm really glad I took the chance. What novels have you read that were outisde your normal genres, but turned out to love? Susan Roberts, reviewer. Susan grew up in the Detroit area but after deciding that city life wasn't for her she moved to North Carolina after college. She and her husband have several acres of land and they enjoy gardening and canning vegetables in the summer. 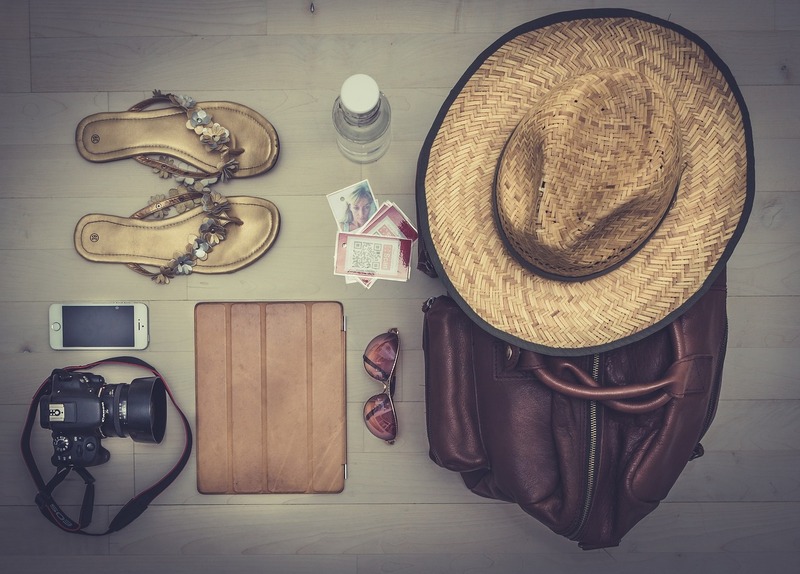 They travel extensively. Susan reads almost anything (and the piles of books in her house prove that) but her favorite genres are Southern fiction, women's fiction and thrillers. Susan is a top 1% Goodreads Reviewer. You can connect with Susan on Facebook or Twitter.